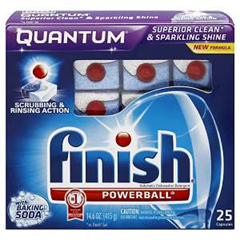 Free Finish Quantum Tabs with Finish Quantum Tabs purchase for $3.54 at RiteAid! Rite Aid is having a sale right now when you buy 2 Finish Quantum Tabs ,Use Manufacturer coupon to crab this item for $1.77 each! 1.Buy 2 Finish Quantum Tabs, 10 ct for $4.29. 2.Buy One Get One Free through 10/13. 4.Final Price for each item $1.77 , when you buy 2. Van’s Waffles only $0.33 at Target with High Value Coupon! Buy One Get One Free for Trident Gum at Walmart!